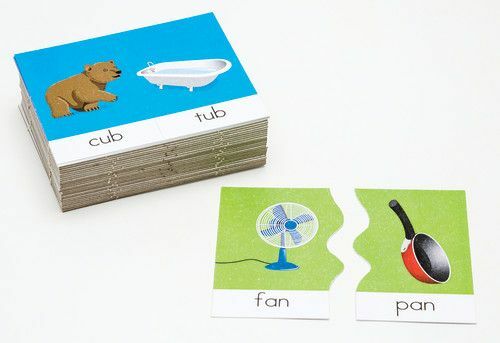 Beautifully illustrated, these two-piece Rhyming Puzzles help students with word recognition as well as vocabulary development and rhyming. Students read the word and then find the matching puzzle piece. The 30-card puzzle set is cut so that only correct matches can be made.